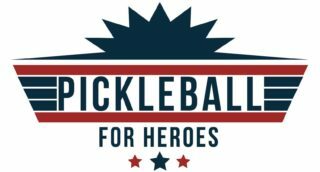 High-level pickleball champions and novice players alike will compete in the 5th Annual Pickleball for Heroes tournament on August 23-25, 2019. 100% of the Tournament proceeds will be donated to Operation TBI Freedom. Additional details about the tournament will be posted at a later date. The pickleball community is proud to support Operation TBI Freedom, a program of Craig Hospital through events and fundraising efforts like Amazon Smile. The Pickleball for Heroes Tournament has raised $217,000 for the program over four years. Since 2000, more than 7,200 Veterans in Colorado have returned from conflict with traumatic brain injuries. For those with this serious yet often invisible injury, the transition to civilian life can be especially difficult. To meet the needs of Veterans with TBI, Operation TBI Freedom (OTF), a donor-funded 501(c)(3) program of Englewood’s Craig Hospital, offers individualized, relationship-oriented case management with certified brain injury specialists. The OTF staff provide Veterans with crisis and suicide prevention counseling; emergency funding; employment and education assistance; mental and medical health referrals and support; outdoor recreation/therapy and adaptive equipment; and a variety of psychosocial educational programming, including financial management and parenting classes. The pickleball community has set a goal to raise $1 million for Operation TBI Freedom, and recently found an easy and innovative way to meet that goal in addition to the Pickleball for Heroes Tournament. AmazonSmile is a program that allows purchasers of the millions of Amazon products to ensure that a percentage (0.5%) of their purchase directly to Operation TBI Freedom in the name of the pickleball community. The steps are painless, and the impact potentially huge. Please consider this wonderful opportunity!